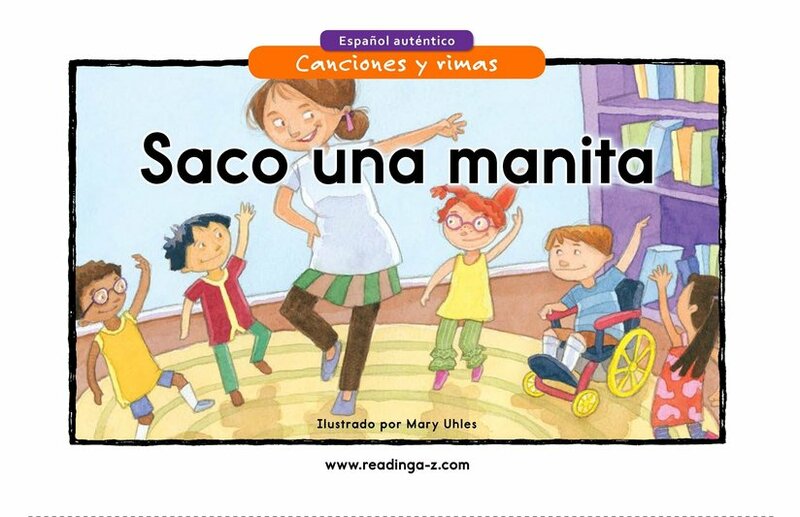 Saco una manita es una canción infantil corta que inspira a moverse no solo a todos los niños, sino también a los maestros que la escuchan. 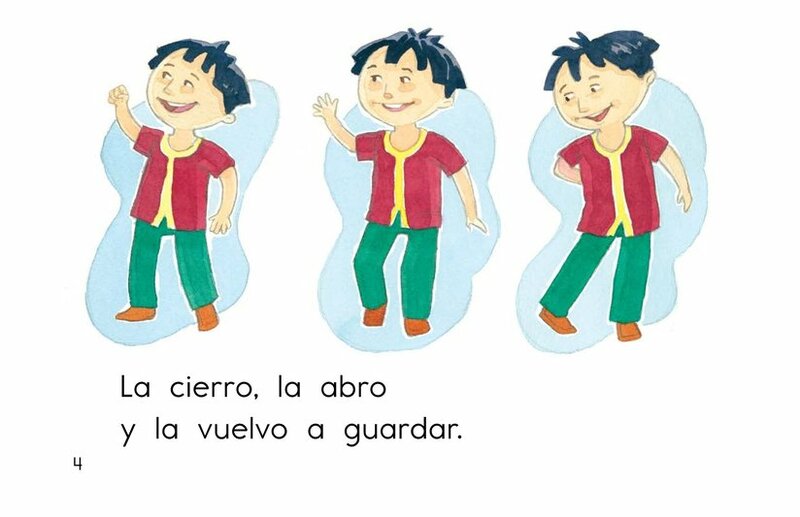 La canción es muy sencilla, lo que permite que todos disfruten del baile de las manos a medida que siguen la letra de la canción. 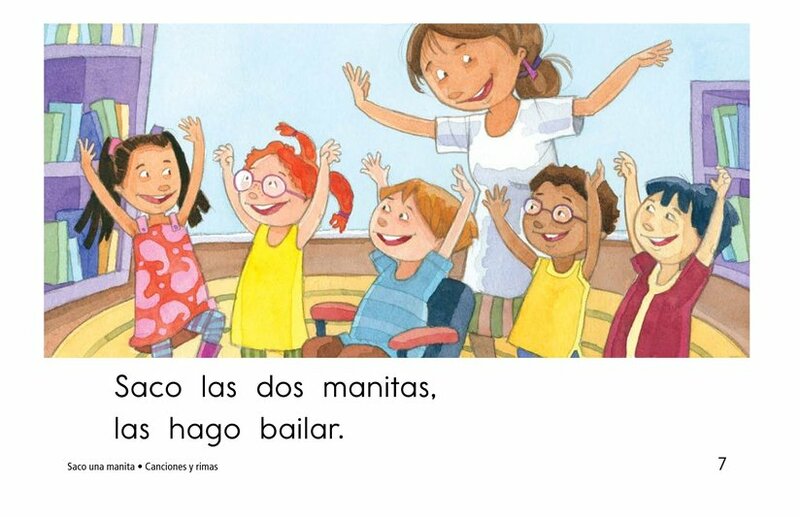 En los dibujos del libro vemos cómo toda una clase hace bailar las manos. 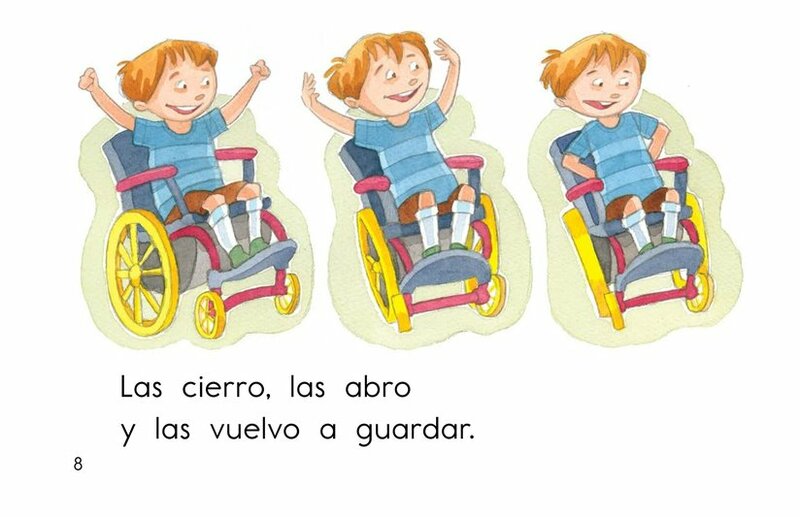 ¡A todos los niños les va a gustar seguir los movimientos que se muestran en el libro con el resto de la clase o aún solitos cuando quieran! 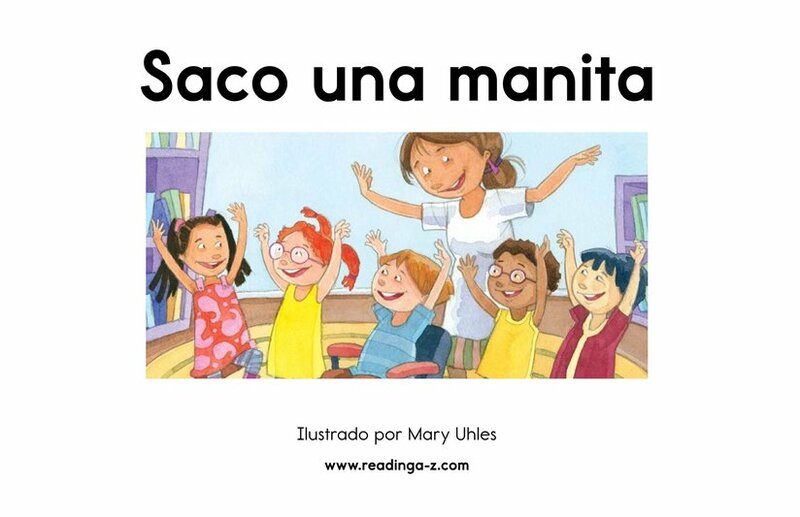 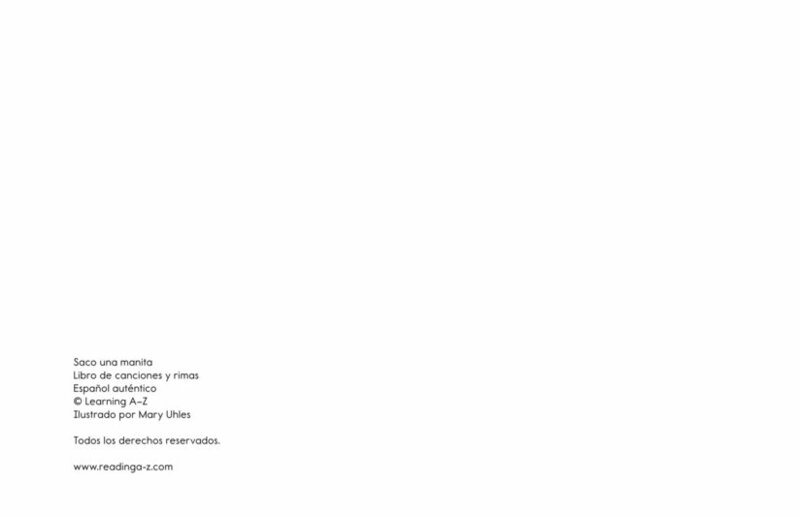 Saco una manita is a short children's song that inspires not only the kids to move, but also the teachers that hear it. 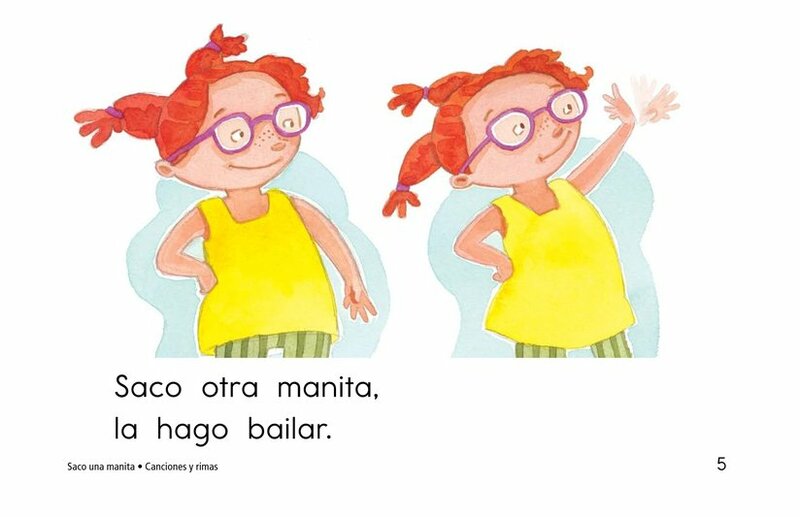 The song is very simple which allows everyone to enjoy the dancing hands while they follow along with the words of the song. 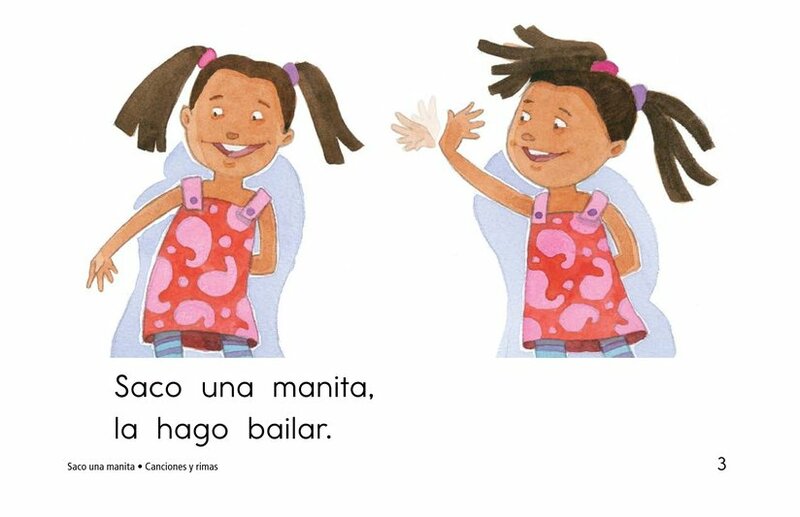 In the book's pictures we see how a whole class dances with their hands. 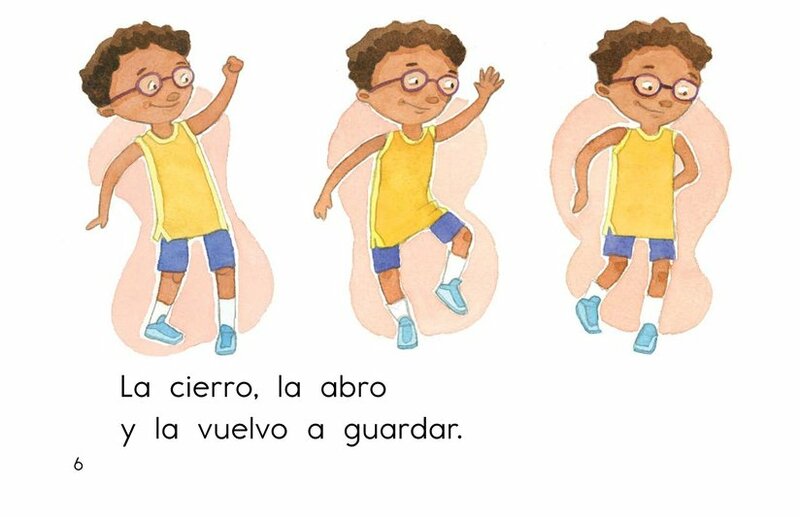 All the children will like following along with the movements shown in the book with the rest of the class or on their own whenever they want!